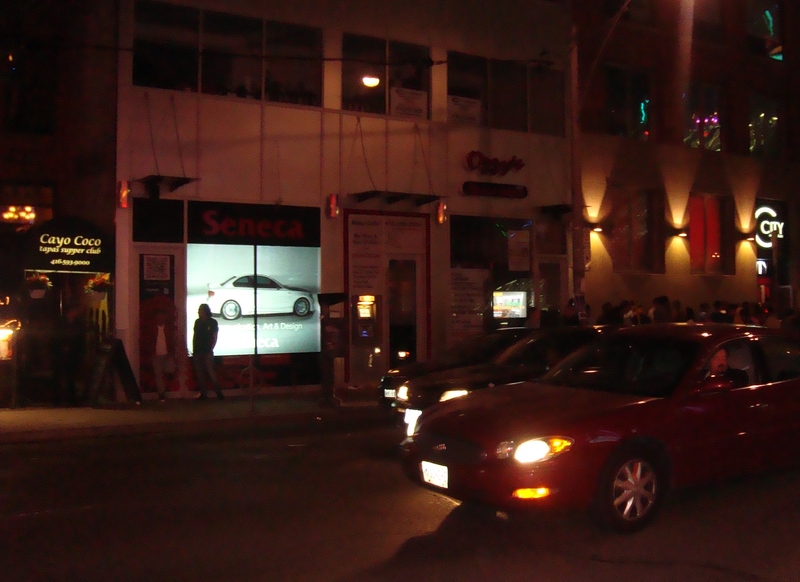 In May, Mango Moose Media and Seneca College teamed up to create a Pop-Up Projection Storefront right in the heart of Toronto’s club district. 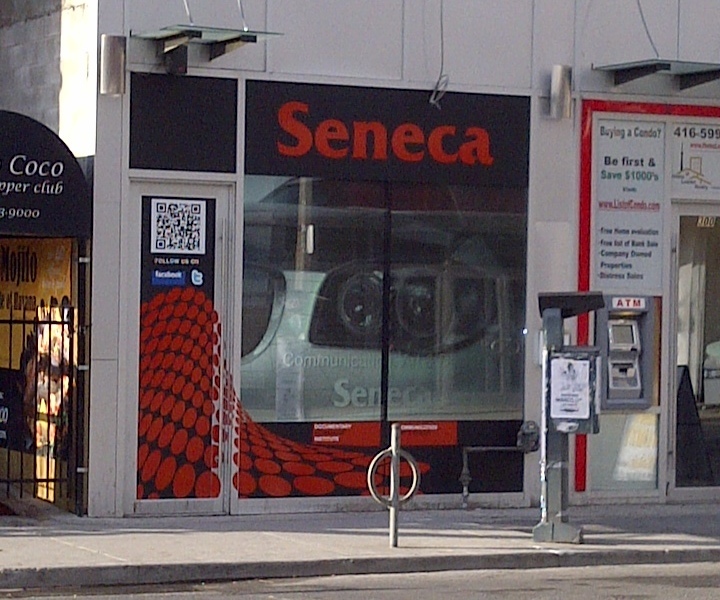 With the windows wrapped in Seneca red, a video advertising the college’s programs was on display for all to see, and a QR code was used to link the crowds to their website. 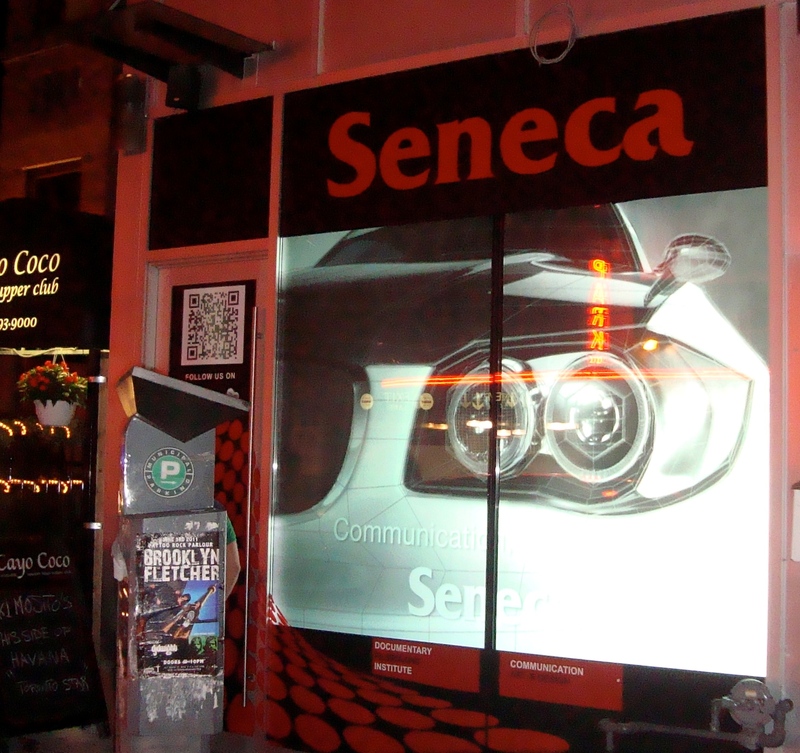 Projection Advertising is attention grabbing, environmentally friendly and stunning. If you would like to see how this means of marketing can assist your company, contact one of our account coordinators today! 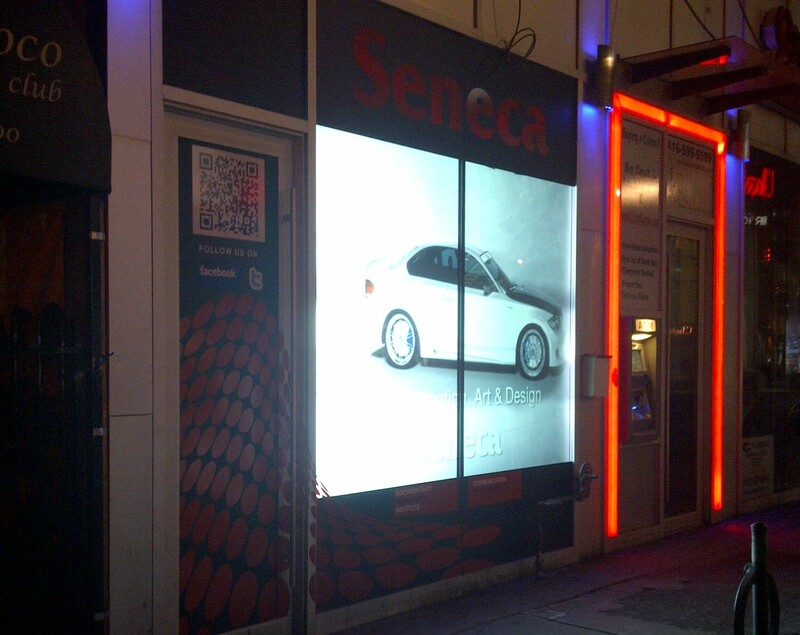 We’ll be introducing Projection Advertising as a new service in the New Year. Check back for the official press release and pictures in ’09.